The daily learning of Tanya is one of the three daily regimens which make up the learning of Chitas. The Tanya was authored by the first Chabad Rebbe, Rabbi Shneur Zalman of Liadi (1745–1812). 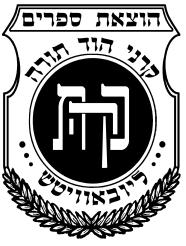 It is the main work of Chabad philosophy, the “Written Torah of Chassidism,” in which the fundamental teachings of Chassidism are given systematic intellectual structure, with the goal of providing a universal guidebook that each Jew can use to navigate his spiritual path and advance in his personal service of G-d.
months of a Jewish leap-year. The Tanya portion of the daily Chitas follows these respective divisions for a regular year or for a leap-year. Chayenu includes the Tanya, enabling one to complete the entire Tanya every year! This section features a lucid and explanatory translation of the Tanya, side by side with the Original Hebrew. Tanya in Hebrew with vowels. A comprehensive English translation of the Tanya. A linear side by side typeset, which makes it easier to navigate from Hebrew to English.